This fragrance is available in three sizes (30ml, 50ml and 100ml). 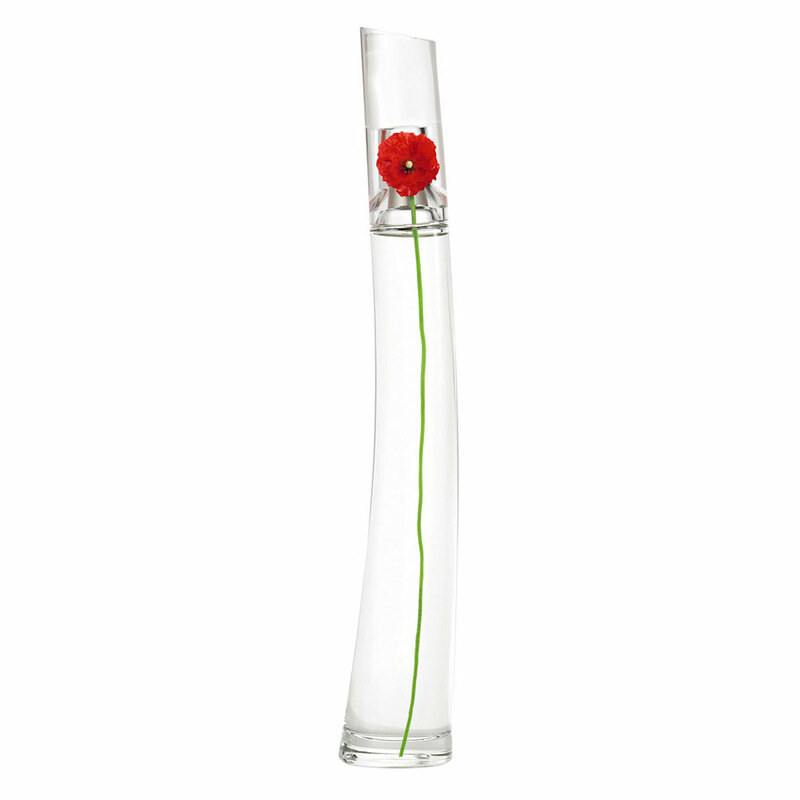 Each size represents a different stage in the blooming of a poppy flower. Bizarrely, the poppy has no scent of its own. There are 80 reviews of FlowerbyKenzo. Opens with a slight melony note(calone given the release date?) and that lipstick smell that sometimes happens with rose/violet perfumes and a bit of a synthetic buzz. It's strange on first try, but its also kind of strange and fun, especially the more wears you give it. Drys down into a lovely powdery rose scent over vanilla and white musk, which really comes in and rounds out the opening. The vanilla never gets cloying or bakery smelling though, and the white musk never gets sharp or too laundry-esque. It smells nice and clean and clear powdery and violet-y. Very nicely done in a very cool bottle. Perfect for spring. Tons of violet on top; happy little, powdery violets. Rose shines through a moment later. Buzzy sweetness on top overall. Lovely! The middle and base seem to be as one entity, one blend. There is a muted resinous, balsamic layer intermingled with a creamy musk. There is an aldehyde, hazy blend thrown in here. I'm going to guess it's the "chemical notes" listed for the base. The violets stick around, dancing around the whole time. A very good and nice soapy floral that performs well. Then, it’s nothing special for me. When I first spray this on, it appears very strong and very sweet, which if the longevity were stronger, would make it synthetic, sickly and overwhelming. Happily, it falls quickly to a pleasant soft, musky rose. I find the opening a bit sharp. A lot of violet emerges out while the rose gives a soft touch. At the drydown the vanilla smoothens it into a comforting body scent. I find it indeed very powdery. And I detected some incense-like notes that tickle the nose and constantly reboost up the soft floral and vanilla, very interesting. The sillage is quite good and the longevity is around 7h on me. 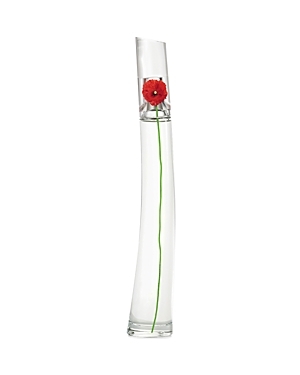 I personally think the bottle is an excellent visual interpretation for the fragrance. It's floral, sensual, and incredibly clean. I especially love it in spring and autumn. I don't think it's a very seductive fragrance, otherwise it can fit numerous occasions with different amount of application. It's not bold, but still very distinctive. It surely has its uniqueness in the floral categories. its too acidic for me, somehow reminding me of sugardrenched poppycake with a spritz of some bathroom- cleanser. 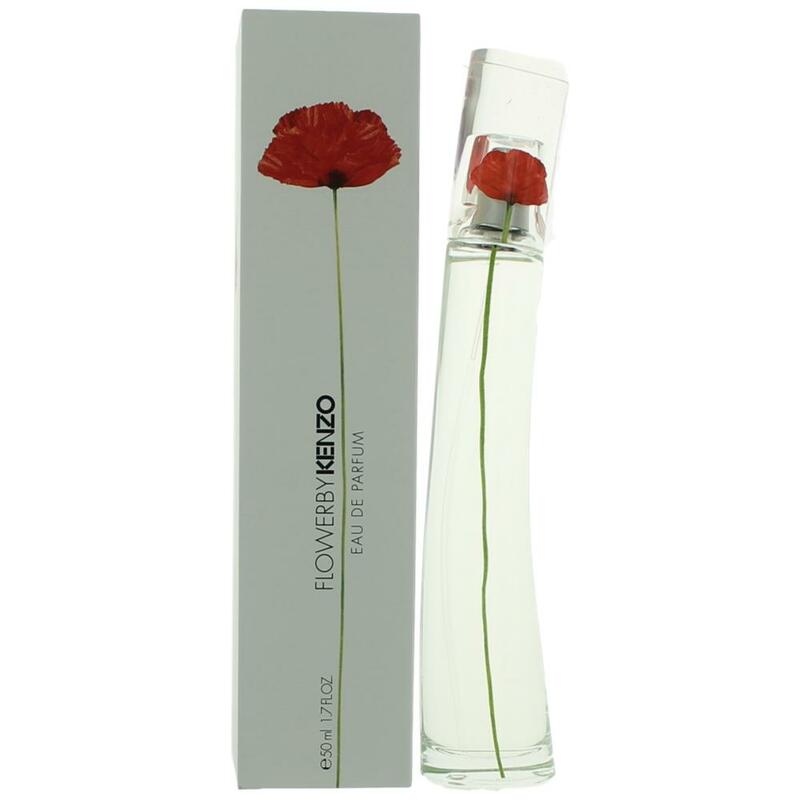 Kenzo Flower By Kenzo Eau De Parfum 3.4 oz. There are no member images of FlowerbyKenzo yet. Why not be the first?